As the meme states; what a time to be alive. 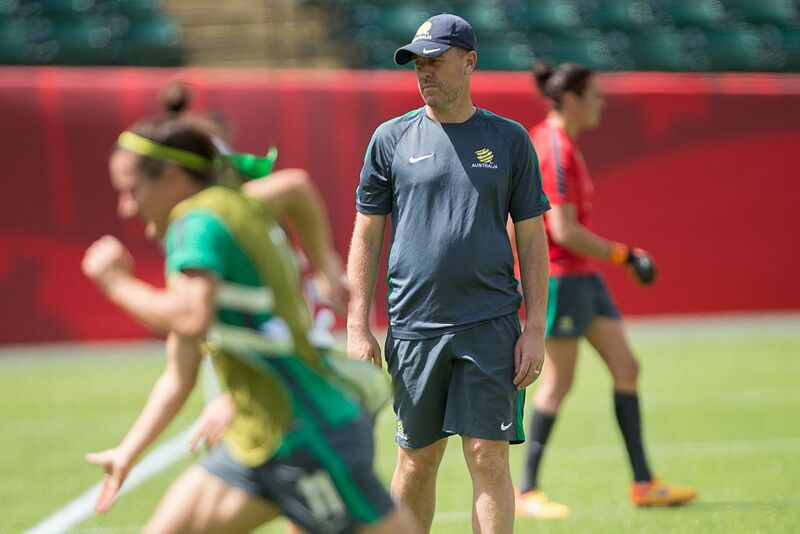 Since the appointment of the two Australian developed national team coaches, Ange Postecoglou and Alen Stajcic, close to two years ago both the Matildas and Socceroos have not only achieved some success but have done so in a manner that has won over Australia supporters. Postecoglou and Stajcic have managed the fusion of attacking, possession football yearned for by football purists with the high work ethic and gritty determination we seem to demand from our national teams. We caught up with Postecoglou for a quick chat on the red carpet of the Dolan Warren Awards. Ange, in terms of the national teams, it is a pretty good time for Australian football with both the Matildas and Socceroos performing well. It's great to see. I guess from my perspective the international aspect is going really well for both teams. "There is pressure there now because both teams are raising expectations which I think is great." I think you have seen both the Matildas and the Socceroos evolving the last 18 months with a new group of players. The beauty of it is that I think both squads have still got the best ahead of them. I keep telling the Matildas that I keep chasing them and they better win something more quickly or we will! But I can't wait to see them play at the Olympics. I think they are in with a great chance. It's notable that the evolution and success, as you spoke about, has been overseen by "home grown" coaches. What do you see as the future benefit for those in the coaching system? I think, if nothing else, it gives opportunities to others. If I can have some success, and Staj has already had some success, hopefully when the next appointment comes along it will be local as well. I think in the past, too often we have gone for a local candidate and then, for whatever reason, we have gone overseas. I always think our national teams should be coached by a local. No-one understands the country and what it means to us as much as some-one who has grown up here. Right and you also talk about the culture and the style of football epitomising what Australians consider our values. That seems to be happening at both Matildas and Socceroos level. Yeah I think so. I think with both teams it's not just the fact that the results have been there, I think it is also the manner that both teams have been playing. People can relate to it. As you said, it is about how it represents our country and our values. I think that is important moving forward too. I would hate for us to move away from that. I think we are more suited to play our attacking, proactive game. Our players are suited for it and that's what our fans want to see from both teams. Hopefully this means we are going down this road and we never have to turn back. Success builds momentum so how can football capitalise on the current positivity around the national teams? A lot of it going to be, hopefully with what is already happening with the Matildas and Socceroos, that young kids are getting real heroes and they can try and replicate the way they play. I think that is really important. If we can keep trying to produce the footballer that we are and the individuals in that, I think there will be more and more boys and girls playing in the parks who want to play like their heroes. I think that is the biggest growth that we can get. Finally, is there a Matildas player you enjoy watching? I like Elise Kellond-Knight. She is something special but all the girls have been outstanding. I have followed them closely over the past 18 months since I have been in the [Socceroos] job. It wasn't that long ago that they had some real challenges as a team and seeing them come out of the other side, and the way they are playing their football, I have a soft spot for the Matildas. I can't wait to see what they can do at the Olympics.